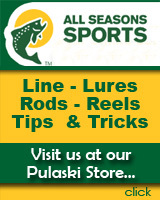 The mild weather bestowed upon us this past winter has made for an early beginning of the 2012 LO fishing season. Warm is good and I would expect the bait population will continue to be healthy and plentiful. In all probability, the mild winter will also help to produce a solid crop of wild born salmon with good survival translating to a robust Chinook population in the next few years. As an avid Chinook fisherman, I am happy to report that this critter has adapted very well to LO waters all but insuring a sustainable salmon fishery. One could say that we now have a Lake Ontario strain of Chinook salmon. While the purist enthusiasts continue their efforts to improve the Atlantic Salmon situation it just seems that this fish, that fell into decline in the early 18th century, has not been able to adapt to current lake conditions. While a modest Atlantic restoration effort continues, progress is slow, very slow. However since this fish became naturalized to Lake Ontario waters hundreds of years ago, and began to disappear with the early dam construction and population expansion, the effort to successful restoration has been minimal. Two things are for sure, native fish such as Atlantics and Lake Trout have not done too well with regard to their restoration effort. Is it possible that the changing ecosystem just is not conducive to the hoped for comeback of these fish? Pacific Salmon have successfully adapted while Atlantic and Laker populations have struggled. To date the restoration efforts for the two species have not been very successful. Oswego net pens will be in place in a few weeks. Fish raised in the pens have done quite well over the years. This volunteer program has proven that a little tender loving care goes a long way. Long live the net pens. Right now we are looking at receiving the fish earlier than in years past due to the warm weather. The boat will be in the water in a few days. We invite you to join us for some fine fishing, and an enjoyable time on the water. We been doing it longer than most and are once again ready to be of service. As I stare into my crystal ball, I, the magnificent soothsayer and prognosticator extraordinaire, once again predict great fishing for Lake Ontario in 2012. 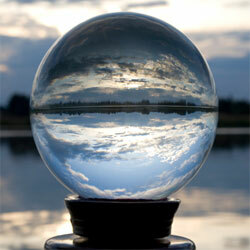 I am never wrong and you can count on my prediction being true. How do I know, probably because since the fishery was born we have always had good fishing. Now there have been peaks and valleys but even in the valley times, fishing was still pretty darn good. It is just the way it is. To put it simply, Lake "O" equals good fishing, year in and year out. With quality fish stocking programs now enhanced by the addition of wild fish, and so far a mild winter, I believe we can look to exciting and bountiful catches this year. Isn't that amazing! Currently the fishery has seen a large increase in the number of cash paying tournaments from one end of the lake to the other. Since I was involved in the creation of the Oswego Pro AM and the Oswego One-Day A-TOM-MIK Challenge, I am pleased to see the interest and variety of events that now fill the agenda on a near weekly basis. If these were stick and ball based events I could not play, as the AARP age is upon me. Yet for us senior guys and gals we can definitely compete if we so desire. Ain't that a hoot! Basically the events are 1 or 2 days, with either a 12 or 6 fish limit. Some require an observer while others prefer open communication. Entry fees range from $50.00 to the big payout $800.00 events. Some have voiced that opinion that the number of events could be detrimental to the fishery as highly skilled teams creel large numbers of fish. So far there seems to be no negative effect on the fishery as the basic put, (stocking), and take, (catching) concept remains in effect. This method has worked for over 40 years. I am happy to inform you that a new chapter in the ongoing saga of the Dixie Dandy is about to begin. I have joined forces with Capt. Tom Burke and his legendary Cold Steel fishing charter. My 32-ft Dixie Dandy will join with Tom's 36-ft Egg Harbor, Cold Steel to provide one of the lake's most experienced charter co-operations. Tom and I will work closely together to insure that our charter customers receive a friendly, experienced, and fun filled Lake Ontario adventure. Tom is a regular on the trout and salmon tournament circuit with several wins to his credit, along with a few King of the Lake titles. He is also a top guide on the lake's tributaries fishing for trout and salmon. At this stage of my fishing career, this association with Tom is a win, win, situation for both of us. Life is gooood! Oh, by the way, Tom and I share the same political leanings, so that will surely add to our cooperation levels. What can we expect in 2012? How about more of the same, and by that I mean more wonderful Lake Ontario fishing. Based upon last season's results it looks as though the fishery remains robust. Bait populations and 2011 fishery catch reports clearly indicate that good times will continue in the upcoming 2012 season. verified wild fish reproduction that can only improve catch rates. Since NYS's salmon and trout program began in the late sixties, the lake has shown a remarkable history of adaptive resilience to the many challenges it has faced. Zebra and quagga muscles, ruffe, gobies, spiny water fleas and a myriad of other exotic invaders have threatened the lake's ability to sustain life as we were accustomed to seeing. Yet for some inexplicable reason, natural adaptation occurs and at least as far as our fishery goes, salmon and trout angling remain top flight. Mother nature at her best for sure. Other good news, at least in my humble opinion, relates to the failure of wind farm proponents to gain approval to plant hundreds of ugly, government subsidized, inefficient wind turbines smack dab into Lake Ontario near shore waters. In my opinion another government subsidy boondoggle has been thwarted. The lake will remain undisturbed, at least for now. Did you know that many wind farm projects have already been abandoned? Hmmm! I am happy to report that I have joined forces with Capt. Tom Burke and his Cold Steel fishing operation to create a two boat charter fleet to better serve our present and future customers. My 31' Dixie Dandy will be joined by Tom's 36' Egg Harbor, Cold Steel, to provide one of the most experienced, well equipped, and customer friendly operations on the lake. We will work closely to provide our customers with a productive and enjoyable day on the water. Tom is an ardent tournament fisherman with several wins on his resume and he is one of the top drift boat guides targeting salmon and steelhead on various Lake Ontario tributaries. Interested in a multi boat outing? We are at your service. We are now entering our 4th year of a fish identification program designed to differentiate between wild and stocked salmon. Stocked salmon have an adipose fin clip, (last fin on the back) to separate them from wild fish. This year this program will provide accurate data into the makeup of the salmon fishery population. This is extremely important to the future of the predator / prey balance as it relates to the sustainable food chain makeup. It is this type of quality fishery science that insures our lake's status as a truly world class fishery. It takes good science to produce good fishing, however, a watchful eye must be kept on those who look to save money by abandoning the stocking program in favor of a total commitment to a wild fish only, boom or bust fishery methodology. Not good, not good at all. I can't wait to get started. Hope you will join us in 2012, it's going to be a terrific season. 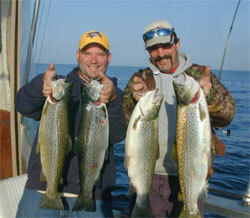 Don't look now, but the 2011 Lake Ontario fishing season will soon be here. In spite of New York State's deeply "red" financial situation, our salmon stocking program remains intact. It was a close call with some politicos pushing for major cuts to our fishery projects. Thanks to the NYS Conservation fund, which is fueled by hunting and fishing license sale revenues, our salmon and trout programs remain in effect. Without these revenues, the wonderful salmon and trout fishery would be ravaged due to the states continuing overspending woes. Now that's a fact Jack! Hunters, fishermen, and trappers have always been willing to help pay their way with license purchases in order to achieve a fiscally responsible effort to keep outdoor sports pointed in the right direction. Anyway, license sale revenues are a huge contributor to colossal Lake Ontario fishing, year in and year out. No fishing license, NO FISHING. Now that's another fact Jack! There is one drawback however, whereby our elected officials can move conservation funds to the states General Fund coffers if they so desire. If they want to divert funds to a politically correct program they can do it. As a citizen, you already know that it's just the way our wonderful government works. What can one do about it, probably nothing aside from organized protests to draw attention to a possible raid on license sale revenues. We are now entering our 3rd year of the fish identification program designed to differentiate between wild and stocked salmon. Stocked salmon have an adipose fin clip, (last fin on the back) to separate them from wild fish. Another year into this program will provide accurate data into the make up of the salmon fishery population. This is extremely important to the future of the predator / prey balance as it relates to the sustainable food chain makeup. It is this type of quality fishery science that keeps Lake Ontario smack dab in the world of top fishing destinations. It takes good science to make for good fishing, however a watchful eye must be kept on those who look to save money by abandoning the stocking program in favor of a total commitment to a wild fish only boom or bust fishery methodology. Not good, not good at all. With regard to today's latest fishing craze known as "catch and release" it is important to note that our fishery is based on the premise of "put, grow and take" and while "catch and release" can be considered a noble cause, it does not have a profound effect on the Lake Ontario fishery since each year sees a planting of over 1.5 million new hatchery raised fish. Will releasing a brown trout to fight another day be beneficial? You bet it could. However, the same action with a 3 or 4 year old king salmon could be a different situation since the fish will soon die of natural causes as its life cycle comes to an end. So if you want to release your fish, go right ahead, if you want to keep your fish that is OK too! It is your choice. Remember it is still a "put, grow and take" fishery. In spite of all the efforts to raise and stock healthy fish, once the hatchery fish are planted, and wild fish move into the lake waters, the forces of nature take control. Will the season be rainy or dry, will water levels be high or low, will exotic specie populations decrease or increase, will the winds be favorable to fish survival? It all depends on the whims of nature. Thus all our stocking efforts plus all of the natural salmon production is totally dependent on nature. Here's hoping that "Ma" Nature smiles upon us in 2011. These are fun events with plenty of cash prize payouts. The 2010 Fishing Season is underway and so far two things seem certain. The fish are big and given favorable conditions they will bite, and I do mean bite! Our first couple of outings produced plenty of browns with several fish over 10 pounds and the largest critter weighing in at 14+ pounds. Here are a few of the fish weights (approx) entered in a recent lake wide fishing derby. These fish were caught in early May. Imagine what the fish will weigh after a summer of feeding on chubby alewives and other resident baitfish. One can conclude that the next few angling months will be very rewarding. Basically, for many years, Lake Ontario has produced the largest average size salmon caught in all of the Great Lakes. How about that! Lake Oâ€™s big fish dominance will surely continue. Trout and salmon are cold water fish. They do not like warm water and seek out preferred temperatures lower than 60 to 65 degrees. When the spring fishing season begins, the lake surface temperature is generally in the low forties. Thus at this time of year we look to fish in the warmest water we can find. Even a temperature increase of a couple of degrees can turn a slow bite into a fishing bonanza. That is why we fish near shore and close to tributary flows as this is where warm water will be. Spring and summer brown trout fishing in the Eastern Basin is spectacular. As the season progresses and the lake continues to warm, we move to deeper water to target our quarry. Finally, the lake stratifies into layers of warm to colder water and we search for fish in their preferred temperature ranges. Salmon like 40 to high 50s, browns and steelhead can be found in the 50 to 65 range, while lake trout prefer the coldest water and can usually be caught on the bottom in 39 to low 40 degree water. Of course these guidelines are merely just that, guidelines. Sometimes a particular fish will be just where you thought it would never be. Now that what makes it interesting. As the season progresses and the mighty salmon migrate to the well stocked eastern tributaries that include the Salmon River, expect awesome fishing action. It happens that way every year on the eastern end. As I have often said, Lake Ontario fishing is like solving a puzzle. The pieces seem to morph themselves into patterns necessitating the altering of techniques as the right angling solution changes by the day. That is what makes trolling for trout and salmon so much fun. 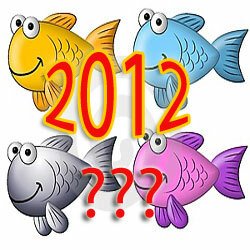 The start of the 2010 season seems to indicate that big fish should be the norm. Bait is plentiful so the fish should have their fill of pepperoni pizza, Big Macs and 5 dollar foot longs, all of which are destined to put on the pounds. Come fish with us and enjoy the fishing wonderland that is Lake Ontario. Itâ€™s a big lake full of big fish. As April 2010 looms ever larger on the horizon, my genetic "vacasoricabobulation hormones" (I made that up) begin to alert my finely tuned fishing senses that another happy season is upon us. Oh yeah, "how great it is". As if I wasn't excited enough, the other night I attended the annual NYSDEC State of The Lake presentation and am pleased to report that generally speaking "all is well". The bait population, (alewives) are doing nicely with several year classes growing bigger and bigger. 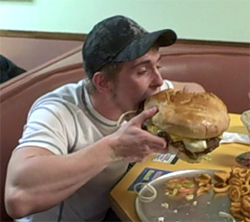 This will do to salmon and trout what a 1/4 pounder with cheese, large fries and a strawberry milk shake will do to me. Pounds baby, pounds! Last year the kings averaged around 18 lbs and I expect that 2010 will see more big fish. A few wild born fish have been caught signaling that cleaner waters are more and more suitable for natural reproduction which can only add to the greatness of our fishery. Our successful stocking programs should continue with occasional number spikes resulting when the boom or bust wild fish population cycle achieves the boom scenario. Deep water sculpin, a favorite of lake trout, thought to be nearly gone from the lake are showing up in higher numbers. Evidentially they have adapted to the ever changing lake chemistry and are slowly making a come back. Which is good news for lake trout? On another front, funding for the refurbishing of the now closed Allenegy lake trout hatchery has been secured, setting the stage for the repairs and improvements that are needed. After years of lower that normal laker stocking numbers we will soon be receiving full compliments of these fish as the modernized facility comes back on line. The news regarding the deadly sea lamprey population is positive. Strikes on trout and salmon are within limits and of course this bodes well for the fishery. Currently, streams are treated with a chemical that kills the pests. A new step in eel control looks real promising. It is a love potion that is entered into the water. It is a man made scent not unlike the aroma that comes from the gills of male lampreys. It lures males and females into the streams where they can be trapped. A couple more years of testing will absolutely prove the validity of the potion. Can't help but think of the song, "Love Potion #9"
Speaking of songs, how about "Happy Days Are Here Again" At least for a while! southern states where it was introduced to US waters. 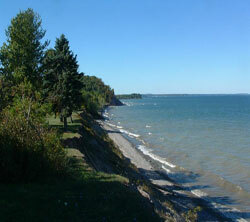 Presently, it is only several miles from Chicago and its entrance to Lake Michigan. If it gains a foothold in the Great Lakes one can almost predict a major impact on commercial, salmon and trout sport fishing as we know it. The results could be devastating to the billion dollar fishing industry and that includes sport fishing! To combat the invasion, after much shouting and lobbying by environmentalists and sport fisherman, our federal government has finally agreed to provide 78.5 million smackers that may or may not stop the advance. Time is on the side of the fish and the dollars provided may be too little too late. The only sure way to prevent the fish from reaching the Great Lakes is to close the canal waterway connecting the Mississippi basin to Lake Michigan. The feds are going to provide funds to further study the matter. Now doesn't that sound familiar? To be fair it would be a major task to close or divert the canal. They will also try to strengthen the currently employed electronic pulse barrier system that is the last point in the water way where we hope we can stop the advancing fish. The electronic system has been in place for some time and has provided protection, so improving it should definitely help. Other promising deterrents are also in the works but it will take time to see if they will work effectively. Right now the only sure way to stop the migration is to close the canal, but this will not happen because of commercial shipping traffic. This Crap, yikes I mean Carp, has been moving north since the 70's and can reach nearly 100 pounds. It is a ferocious plankton eater and more than likely will upset the lake's already under duress food web chain, and that's not good. It was brought to the US to control algae in southern ponds and like the southern creeping vine plant known as Kudzu, it is a well intended "fix" gone wrong. For some reason the fish will leap several feet out of the water when disturbed by a fast moving boat. Several low profile bass boat operators have actually been hit by leaping fish which resulted in injuries to operators and passengers. Just imagine moving at 30 to 40 mph and running into a big ole fish. Now that would hurt. There are plenty of videos on You Tube showing the leaping fish striking boaters, just search the key words "Asian Carp." I drove up to Oswego the other day to check things out. Work is going on at the marina to repair construction problems with the recent harbor upgrades. You know the old adage "if at first you don't succeed etc. etc." Well they did not succeed so they are trying again. I am sure they will get it right this time. The fish that will be stocked in our net pens are snuggled in their tanks at the hatchery and are doing great. New pen water temp. 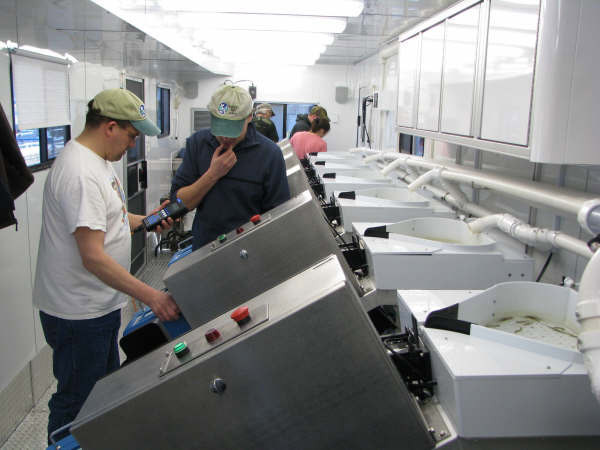 monitors will provide another tool for raising and stocking the healthiest fish possible. This program has been a hell of a success and bodes well for the future of the fishery. It also speaks well of the volunteers who support the lake wide pen projects. I can't wait for the start of our 2010 lake fishing adventure. I hope to see you in 2010 as I expect yet another fabulous fishing season. It is not too early to call us for a charter date. 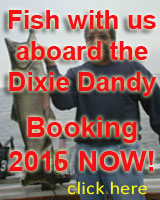 We hope you will join us on the DIXIE DANDY and like I always say, "it is still great to be a Lake Ontario troller". agree with the direction of our political wind blowers, yet the bloviators simply will not listen, as they continue to print more money and then spend it. The volcanic eruption of spending proposals does not however find its way to the NYS Bureau of Fisheries as fishery budgets are curtailed and new hires and needed programs are in the strangle hold of belt tightening situations. Things are tough and our fishery people must do more with less. So far we have made do with less and that is solely because of our dedicated fishery personnel. We are lucky to have such a committed fishery staff running our programs. The latest winds in the lake area are being fueled by the recently announced preliminary plans to erect hundreds of wind turbines along the shoreline of Lake Ontario. Now when I say shore line I am talking about following the shore line but actually building the huge generating structures off shore, right in the middle of a major bird flyway and smack dab on top of fish spawning grounds. Remember the wind turbine farm that Senator Kennedy did not want built within his view from his Hyannis home, well how do you feel about dumping the tri blade behemoths into Mexico Bay? We are talking about hundreds of turbines. Ah yes, green energy, doesn't that make you feel good? The truth is that the turbines are very inefficient power generators, as they work on average only about 30 percent of the time according to a blog article by Margaret Collins titled "Environmentalists Need o Rethink Wind Energy". The video attached to this blog shows some recent fierce December winds blowing across Lake Ontario. This is great for generating wind power, right? Not so fast sports fans, wind turbines would be shut down during this kind of weather. Too much wind such as this would damage the turbines. Oh well, it is just another chapter in the book of pipe dream energy solutions. It is green energy alright as the green equates the dollars that will be reaped by the developers. We have 3 nuclear plants in the Mexico Bay area and a 4th unit is proposed, would the one additional nuke plant be better than 500 inefficient wind generators? Duh! Wind turbines cannot replace fossil fuel energy as this type of energy will remain necessary because of constant fluctuations in the wind turbines efficiency. These fluctuations require back up power to feed the grid. Turbines are a money making scheme which will line the pockets of a few. We shall see what happens as the public meeting phase begins. It is going to be interesting as John Q becomes more informed about "turbinegate". As a small business endeavor, the charter life is not easy; however the intangible rewards are many. Things like big smiles, whoops and hollers, looks of pride and people having fun make a charter trip an enjoyable experience to both the captain and his fishing patrons. So in spite of the doom and gloom of 2009, we look forward to the 2010 fishing season. It is time to get stimulated in a good way. Treat yourself to an exciting and enjoyable day on the water without dodging a gaggle of blade swooping feel good turbines. For more wind energy information check out www.wind-watch.org and www.windpowerfacts.info Get the facts man, just the facts! Ok already, I really am truly sorry for the long summer delay between updates. 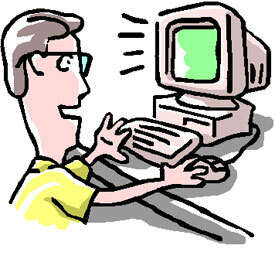 It is just that I get so busy from April through September doing that fishing thing that the frequency of my blogs suffers. Anyhow, I know this is a rather flimsy excuse, so color me guilty. In any event as someone once said, "I'm Baaack!" 2009 was a decent year for fishing with great brown trout action, and a good salmon season that produced generally larger kings than in years past. That plump, pesky exotic invader known as the Round Goby is being gobbled up by the brownies resulting in sizeable football shaped fishing targets. This is probably the only good thing associated with the Goby as they are truly an exotic specie nightmare. The shipping industry battles hard for status quo regarding ballast water exchange regulations. As long as present ballast regulations remain in effect, exotic invaders will continue to infiltrate the Great Lakes. I moved the "Dixie Dandy" back to the Little Salmon River around September 1st as cold, cold, water blew into the Oswego area turning those waters into a icy cold no mans land, or should I say a no fish land. In any event fishing was spectacular in front of the Salmon River with Chinooks and Cohoes on the attack most every day. Keep in mind that this area receives the largest planting of stocked fish as the only NYS Salmon rearing facility sits some 13 miles upstream of the lake. In all probability I will follow the same plan in 2010, which will be to start the season in Oswego and depending on fish movement, sliding back to my Little Salmon River mooring at the B&B Landing for the month of September. Please keep in mind that this cleverly designed plan is entirely dependent on the whims of Mother Nature. It will all depend on how the winds blow. The Columbus Day arrival started the egg taking process at the Salmon River Hatchery in Altmar, NY. Good fish returns resulted in planned egg quotas being achieved for both Chinooks and Cohoes. The eggs are now in the incubation stage and will transform into smolts over the winter to be raised and released into the lake in 2010. (Once they have spent a few weeks in the net pens adjusting to non hatchery life.) For the third year in a row the Chinooks will be given an adipose clip, (last fin on the back) to identify them as stocked fish. Catch a mature salmon with no adipose clip and you can bet it is a salmon spawned in the wild. We will soon have a scientific handle on just how many wild spawned fish make it to adulthood. This is important information necessary for biologists to properly manage the fishery. Prior to arrival of our technically advanced fish marking system wild fish population estimates were non existent. With the guesswork replaced with empirical data, even better fishery management will result. The "crackerjack" NYS DEC Lake Ontario Fishery Team continues their excellent work. Recently, I completed my sixth USCG License Renewal. Things have changed quite a bit since my first application over 25 years ago and the 911 tragedy has had much to do with it. The Captains license is now referred to as a credential and rather than a piece of paper it is in the form of a booklet that reminds me of a passport. It contains my now required Transportation Workers ID photo, which requires fingerprints to be on file, and other pertinent information. This is a good thing and will have nothing but a positive effect on the charter industry especially for those who play by the rules. Now that I have finally updated my blog and added 2009 photos to my site www.lakeontariofishing.net I will provide more frequent updates regarding our fishery. Really I will! 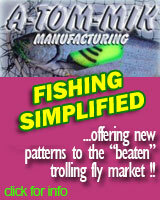 So tune in often and of course let me know if you would like to fish with us in 2010. Thanks for reading the Captain Experience Blog. For nearly four decades the magnificent Lake Ontario fishery has been managed efficiently through employment of a methodology that is based on yearly stocking of hatchery reared trout and salmon. Each new season brings a planting of some 1.6 million fingerling Chinooks, approximately 200,000 yearling Coho, 600,000 steelhead yearlings, nearly 500,000 brown trout yearlings and about 500,000 yearling lake trout. 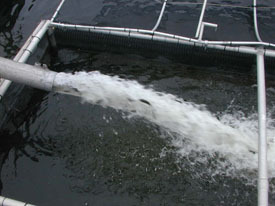 In addition around 200,000 Atlantic salmon are also stocked on an annual basis. This is why year in and year out we have enjoyed consistantly good fishing. I certainly hope the current management approach will continue. Sure some years are better than others due to nature's whims, but in general we are provided with excellent fishing opportunities second to none and it is why we can say that our fishery remains world class. Make no bones about it; the reason behind the good fishing is the stocking program. It is steady, consistent, controlled and as a result, very productive. Since fishing preferences vary greatly according to the likes of the myriad of anglers it is not surprising that some anglers really do not give a hoot about the salmonid fishery and would prefer other species to prevail in Lake Ontario such as the burbot. Many "green" people would like to see the lake returned to pre human settlement status. Sort of a return to the days when if you fished and you caught a cold you probably died. Ah yes the good old days. The last few years have seen tributary streams benefiting from clean water efforts and we have seen a huge increase in the number of wild salmon, especially in the Salmon River. Through use of a state of the art fish marking system, stocked salmon now have an adipose fin clip which will differentiate them from naturally spawned fish that of course have no clips. Soon we will know just how the wild fish are contributing to the Chinook biomass if at all. Scientists need to know if any of the tiny stream born wild creatures reach adult hood in the open lake waters. Right now that is the $64,000 question. Already some are suggesting that wild fish are better and we should discontinue the stocking program, to which I say bull feathers. Ever hear of the recent salmon situation in fertile northern Pacific waters? Salmon fishing out west is in deep trouble. I welcome the wild fish but be advised that if we depend on a totally wild fishery we will soon see boom or bust fishing opportunities. It will be nothing like what we enjoy today. If wild fish are making a serious contribution to the numbers of adult salmon, (some biologists currently question their current impact,) their presence must be factored into stocking numbers and perhaps stocking numbers will need to be adjusted, but not eliminated. It should be steady as she goes so that our wonderful fishing history will continue. Keep an eye on this one.